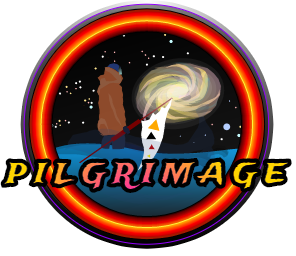 The Pilgrimage is a standing challenge for all explorers. It is called the pilgrimage as it requires immense determination and either confidence in one's ability or strong faith to complete it successfully. Upon overcoming the Space Madness that is sure to occur, one might also have a spiritual or religious experience or just a deeper understanding of one's place and purpose in the Milky Way. To counter the space madness to some extent and make the journey more worthwhile, each of the 435 waypoints has been carefully selected from a couple thousand of the most beautiful and interesting places, including some systems holding record holding bodies. The waypoints have also been grouped into chapters, which you can see in the Chapters section below. Quite fitting for this journey. Route optimization The route has been optimized from a 1.23 MLy route to its current 1 Mly (1,006,000Ly) by the Ant Colony Meta-heuristic. Keep in mind that the total distance does not take any deviation into account, including the deviations from jumping. Also, a bigger jump range doesn't just give a raw bonus to travel times! The longer your ship's jump-range, the smaller the average angle of your jumps will be and thus the closer to this optimal value of 1.006 MLy you will have travelled. Prime Procedural Generator: Land on 4201 bodies OR travel 12.79MM in your SRV during your pilgrimage. Witch-Space Wrecker: Complete your pilgrimage in under the time of your ship range class as listed in the projections above. Voyeurist Voyager: Each chapter has a screenshot competition. Have one of your screenshots end up as the official chapter shot. Pilgrimage Pope: Sell over 15bil worth of exploration data from your pilgrimage. 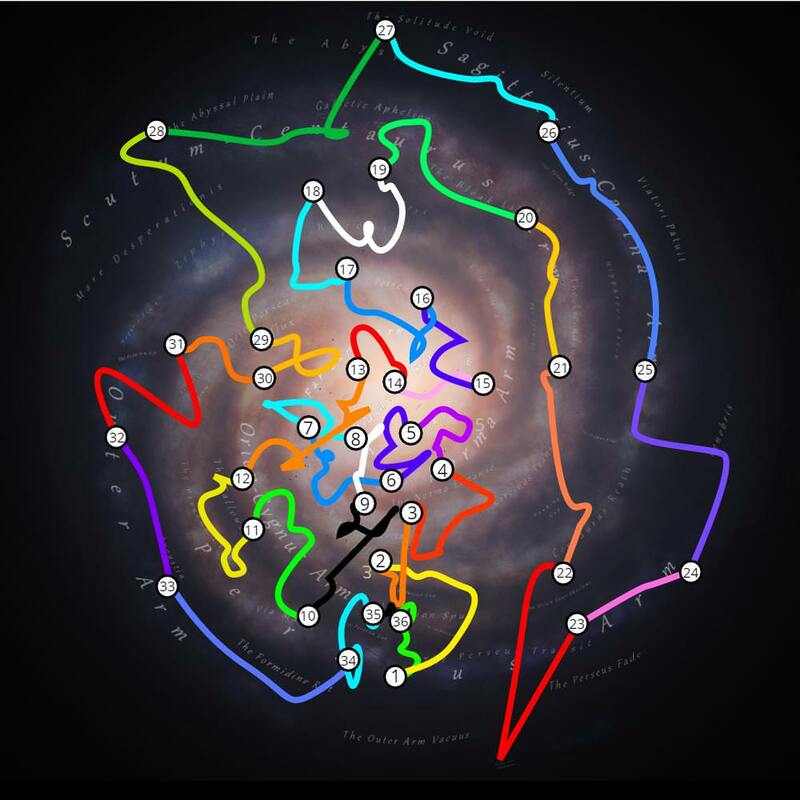 FDev, yeah, FDev, a special thanks for taking away all the pretty and exotic stuff after all of the work the community put into finding and documenting them and right after I made this list. 429 waypoints in The Pilgrimage route.